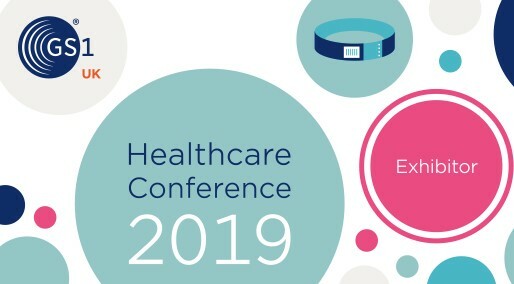 Back on home ground after our time in Scotland and Ireland, the Prospitalia h-trak UK team met with NHS customers and supply partner colleagues this week at the 2019 GS1 UK Healthcare Conference in London’s Heathrow area. It had been over 18 months since the last GS1 UK Healthcare event and we are pleased to say that the current momentum for GS1 standards adoption amongst suppliers, and for the Scan4Safety programme, is encouraging. It was heartening to see that our NHS colleagues are heavily focused on Patient Safety and Efficiency Savings – areas where we can help them. The original Scan4Safety demonstrator sites shared their experiences of these key themes with delegates, including the University Hospitals of Derby and Burton NHS Foundation Trust who, as an early adopter and champion of our h-trak system, ran a workshop on the importance of traceability, key functionality offered by our h-trak system. Interest in our h-trak system continues within the UK. Delegates were invited to take part in our ‘Fastest scanner competition’ where they had the chance to see how easy it is to scan barcodes for all aspects of a procedure. It was an engaging way to give people experience of h-trak, without having to get into scrubs!